David Bowie is one of the greatest musicians to ever grace planet Earth. 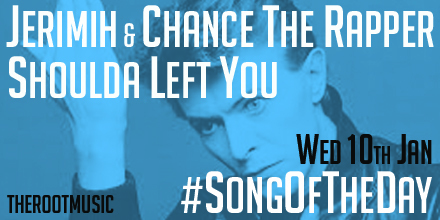 As we mark two years since Bowie’s passing, today’s #SongOfTheDay comes in the form of ‘Shoulda Left You‘ by Jeremih and Chance The Rapper. In the ‘Merry Christmas Lil’ Mama‘ cut, Chance pays homage to a number of late-greats including the legendary David Bowie. Posted in UncategorizedTagged Chance The Rapper, JeremihBookmark the permalink.